"Aquatica Plus UK ships Blades for Klingenmagnet from Amazon.co.uk. Amazon.co.uk has fast shipping in the UK and often free shipping on pond and aquarium supplies. Add to your basket now while supplies last to avoid delays." 6 spare blades for algae magnet in practical, re-sealable box. Hobby Spare Blades 6pk 6 spare blades for algae magnet in practical, re-sealable box. 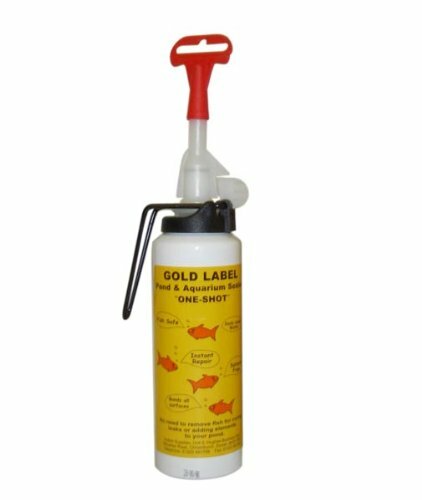 The Gold Label One Shot Pond and Aquarium Sealer is an instant repair aid, bonding all materials even under water. No need to drain ponds or aquariums and is non toxic and solvent free, it may also be used on dry surfaces. The 75ml is available in black and will seal butyl rubber, vinyl, glass, plastic, ceramic, stone, concrete, wood etc. Category - Aquarium Sealers and Sealant.